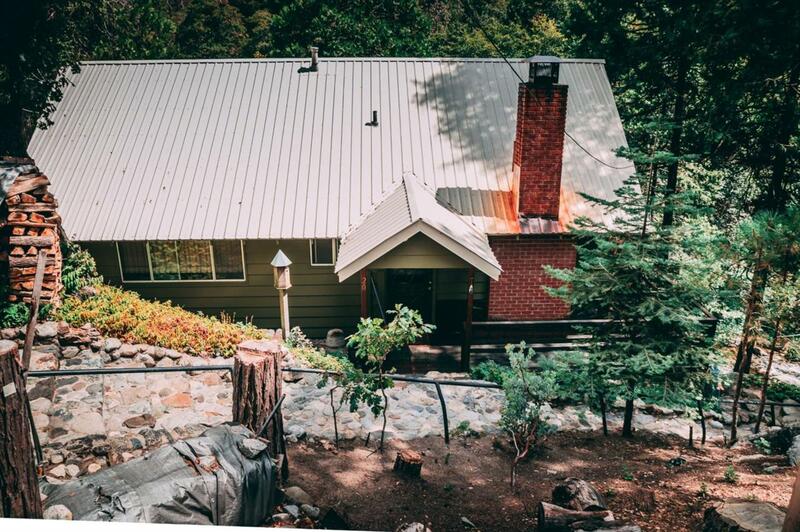 Located right next to the river, Cabin #20's deck, stretching the length of the cabin, is the perfect place to relax! Inside, this 4 bedroom 2.5 bathroom cabin is spacious enough to host the whole family. The large master with attached en-suite bathroom is upstairs along with the living room, half bath, dining room, kitchen, and utility room. Downstairs, there are three bedrooms, a full bathroom, a large playroom with floor-to-ceiling storage, and a tool room with outside access. The cabin comes fully furnished! All appliances are less than 10 years old. Additional features include: forced air heating both upstairs and downstairs, a 6-year-old metal roof, roof eves covering the doorways, a one thousand gallon owned propane tank, switchbox for generator hookup, new refrigerator on the deck, and a recently painted exterior. Association amenities include: gated community with full-time caretaker, community pool, two tennis courts, 18-hole putting green and badminton court.